Top Rated Local® is pleased to announce that Coln Dental Care is a 2019 award winner! “This is the place to go if you are looking for friendly, comfortable, knowledgable, caring and professional dental services, all bundled up together — with a smile!! My opinion of Dr. Coln and her entire staff is that they are wonderful individuals and a wonderful team! Go see them! !” -Christopher M.
Dr. Evelyn Coln, the owner of Coln Dental Care, took some time to chat with us about her business’ exemplary online reputation. 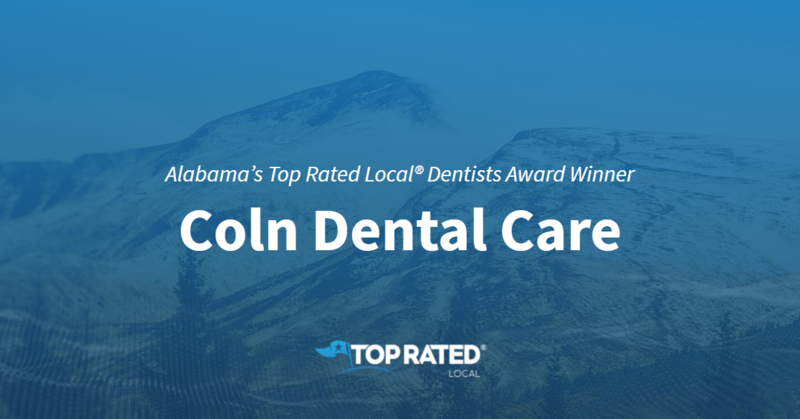 Congratulations to the team at Coln Dental Care for being a 2019 Top Rated Local award winner, and thank you so much, Dr. Coln, for taking the time to speak with us! Top Rated Local® is pleased to announce that Bill Robison Investigations is an award winner for private investigators in 2019. If you are looking for a thorough and dedicated private investigator, look no further than this award-winning company! Bill Robison Investigations has received many overwhelmingly positive reviews with an average rating of 5.00 stars, earning them an impressive Rating Score™ of 90.00 and a 2019 Top Rated Local award for ranking as one of the top three private investigators in Alabama! We were excited to learn all about how Bill Robison Investigations has been able to build such an impressive reputation, so we sat down with the owner, Bill Robinson. The first thing we wanted to know was what it is that makes Bill Robison Investigations stand apart from their local competitors. Bill says that they have seen a wide variety of cases, so they really have seen it all. It is the experience that makes Bill Robison Investigations stand out from the crowd. 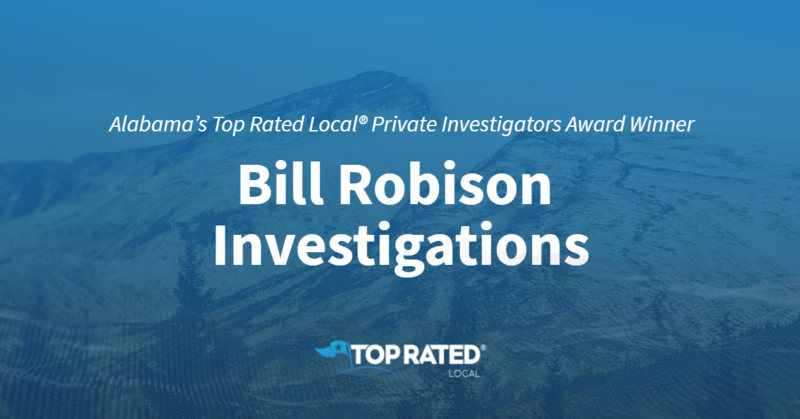 Congratulations to Bill Robison Investigations for being a 2019 Top Rated Local award winner, and special thanks to Bill for taking the time to speak with us! 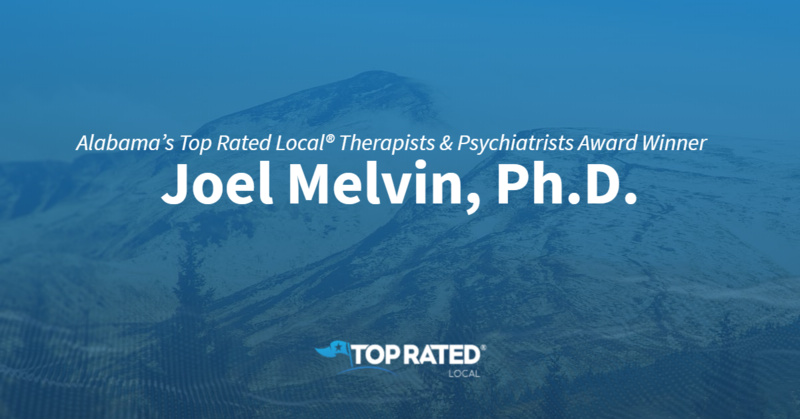 Alabama’s Top Rated Local® Therapists & Psychiatrists Award Winner: Joel Melvin, Ph.D.
Top Rated Local® is pleased to announce that Joel Melvin, Ph.D. is an award winner for therapists & psychiatrists in 2019. Hoover, Alabama is home to a compassionate, ethical, and highly recommended therapist. If you are in need of someone to talk to, look no further than this award-winning company! 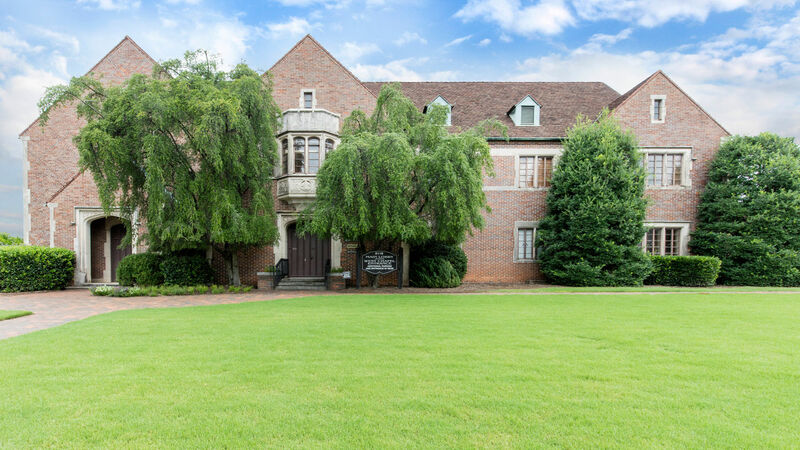 Joel Melvin, Ph.D. has received many overwhelmingly positive reviews across four different verified sites with an average rating of 4.84 stars, earning them an impressive Rating Score™ of 96.44 and a 2019 Top Rated Local award for ranking as the number one therapist & psychiatrist in Alabama! “Dr. Melvin has been my therapist for over 13 years. When other people gave up on me, he taught me how to overcome the difficulties of my diagnosis struggle. Dr. Melvin’s therapeutic approaches have helped me to embrace change and become a more stable person. I have referred many people to his office and will continue to do so.” – Barbara J. It is because of excellent reviews like this that Joel Melvin, Ph.D. is now able to call themselves a Top Rated Local award winner! Congratulations to Joel Melvin, Ph.D. for being a 2019 Top Rated Local award winner, and special thanks to Dr. Melvin for taking the time to speak with us! 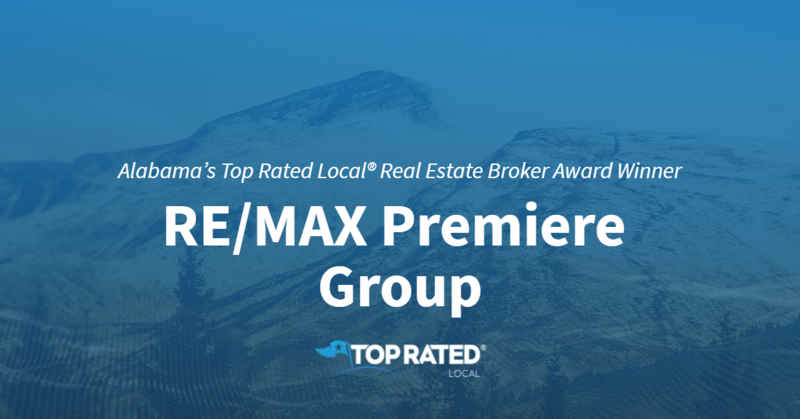 Top Rated Local® is pleased to announce that Avast Realty is a 2019 award winner for real estate brokers in Alabama! Whether you’re buying or selling property, it’s important to have the right real estate team on your side, and in Alabama, there’s no better team to work with than Avast Realty. Avast Realty has received dozens of reviews on two verified sites with an average rating of 5.00 stars, earning them a fantastic Rating Score™ of 94.00 and a 2019 Top Rated Local award for ranking among the top 10 real estate brokers in all of Alabama! “Ekaterina Elkourie and her team are wonderful to work with. [They are] very knowledgeable about the industry and communicate with you throughout the process. They take ownership of your goals to ensure that you are happy with the experience.” – John B. We took a few minutes to talk with Chris Creel, Marketing Manager of Avast Realty, to learn a little more about the business and how they managed to build such an incredible online reputation. Chris credits Avast Realty’s impressive online reputation to their commitment to asking for feedback from their clients. Outside of building a powerful online reputation, Avast Realty has grown through their strong social media presence — they post a variety of things to keep people engaged — and they also do some things on the radio; though, they only recently started doing so. 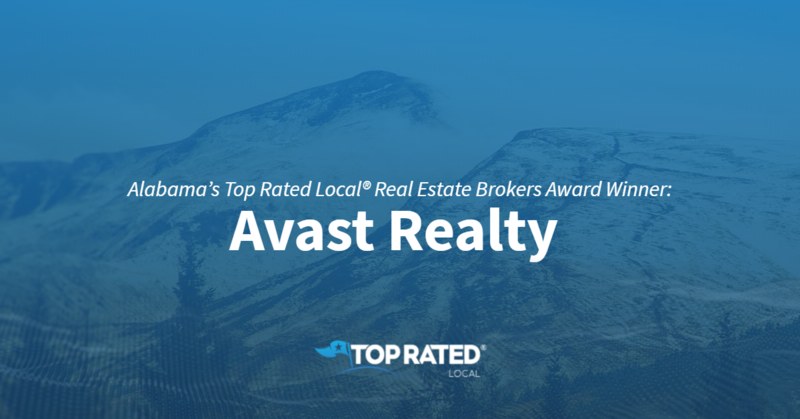 Congratulations to the team at Avast Realty for being a 2019 Top Rated Local award winner, and thank you so much, Chris, for taking the time to speak with us! For all of your real estate needs in Alabama, we highly recommend working with the team at Avast Realty. Visit their website today. Top Rated Local® is pleased to announce that Mow Hawk Lawn Care is a 2019 award winner for lawn care companies in Alabama! 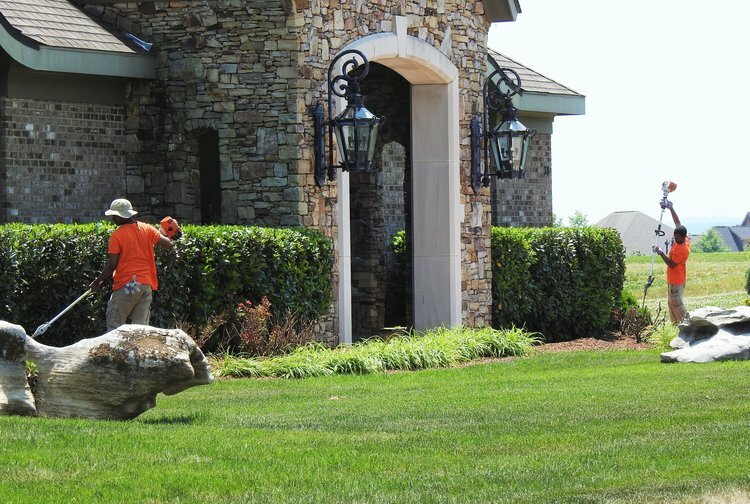 From mowing grass to mulching and hedge trimming, the team at Mow Hawk Lawn Care in Huntsville has what it takes to meet all of your lawn care needs. Mow Hawk Lawn Care has received dozens of reviews on four verified sites with an average rating of 5.00 stars, earning them a fantastic Rating Score™ of 98.00 and two 2019 Top Rated Local awards — one for ranking among the top 100 businesses in Alabama and one for ranking among the top 10 lawn care companies in Alabama! “The staff is very courteous, timely and professional. The owner (Chris) is very responsive and will give you a quote within 24 hours. From my experience of living in the Huntsville area for 20+ years, I would say that Mow Hawk is the best and most dependable lawn care provider in the area. Highly recommended!” – Stephen R.
To learn a little more about the business and how they managed to build such an enviable online reputation, we took a few minutes to talk with Chris Grissim, owner of Mow Hawk Lawn Care. Chris credits Mow Hawk Lawn Care’s strong online reputation to their commitment to making sure customer service is top-notch and answering all calls and calling people back. Congratulations to the team at Mow Hawk Lawn Care for being a 2019 Top Rated Local award winner, and thank you so much, Chris, for taking the time to speak with us! We highly recommend Mow Hawk Lawn Care for all of your lawn care needs in Huntsville. Visit their website today. Top Rated Local® is pleased to announce that Gracie Barra Alabama is a 2019 award winner for martial arts in Alabama! If you’re interested in learning Brazilian Jiu-Jitsu, there’s no better martial arts school to turn to in Pelham than Gracie Barra Alabama. Gracie Barra Alabama has received more than 100 reviews on three verified sites with an average rating of 5.00 stars, earning them an incredible Rating Score™ of 96.00 and a 2019 Top Rated Local award for ranking among the top 10 martial arts schools in all of Alabama! “I can’t begin to say enough good things about this school! I was visiting from out of town and drove an hour and a half to come check out this school. My first impression was that the school was immaculate and well taken care of. The mats were clean; it was spacious; the bathrooms and changing rooms were clean, and the instruction, like all the instruction I’ve received at any Gracie Barra school, was phenomenal. The black belt [who was] teaching took time out to roll with me…and to ensure I had a proper grasp of all the movements we were doing! This is an amazing place, and the only problem that I have with it is that I live so far away from it! 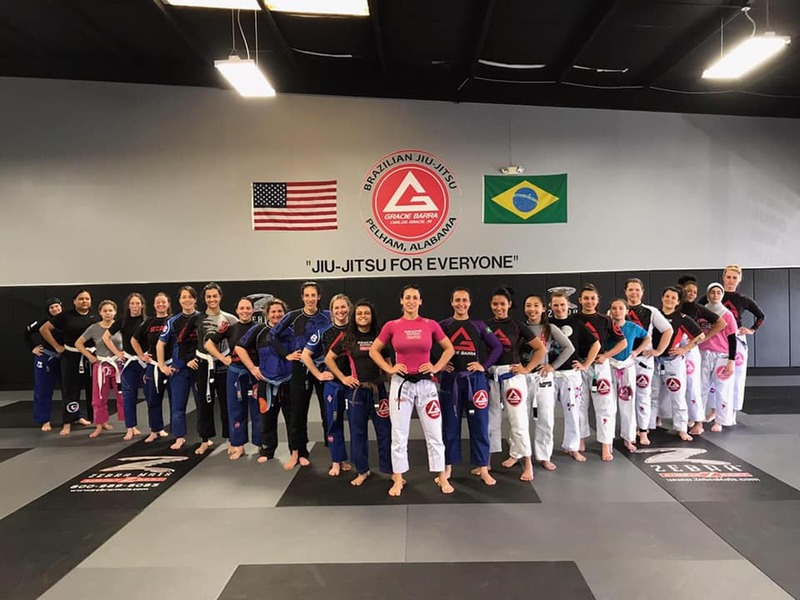 If you live near this school and haven’t checked it out, you are doing yourself a disservice!” – Nathaniel M.
We took a few minutes to talk with Kaliffa Oliveira, owner and main instructor at Gracie Barra Alabama, to learn a little more about the business and how they managed to build such an impressive online reputation. Outside of building a powerful online reputation, Gracie Barra Alabama has grown through word of mouth, by working with a company called CyberMark and through social media — they had 52 students sign up the first day through social media! 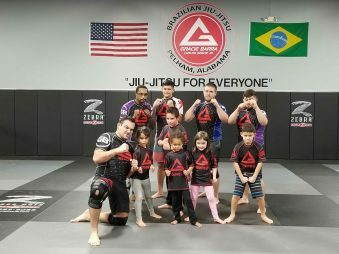 Congratulations to the team at Gracie Barra Alabama for being a 2019 Top Rated Local award winner, and thank you so much, Kaliffa, for taking the time to speak with us! If you’re interested in learning Brazilian Jiu-Jitsu, we highly recommend taking a class at Gracie Barra Alabama. Visit their website today. Top Rated Local® is pleased to announce that Johns-Ridout’s Funeral Parlors is a 2019 award winner! “Thanks to the staff at Johns-Ridout’s for helping my family last year at a difficult time. We were very impressed with all of the great options that was given to us to make a personalized memorial service. You will be our choice in the future.” -Andy H.
Heath Bowen, the location manager at Johns-Ridout’s Funeral Parlors, took some time to speak with us about the business’ positive online reputation. Congratulations to the team at John-Ridout’s Funeral Parlors for being a 2019 Top Rated Local award winner, and thank you so much, Heath, for taking the time to speak with us! Top Rated Local® is pleased to announce that Bliss Salon & Day Spa is a 2019 award winner for beauty salons and spas in Alabama! 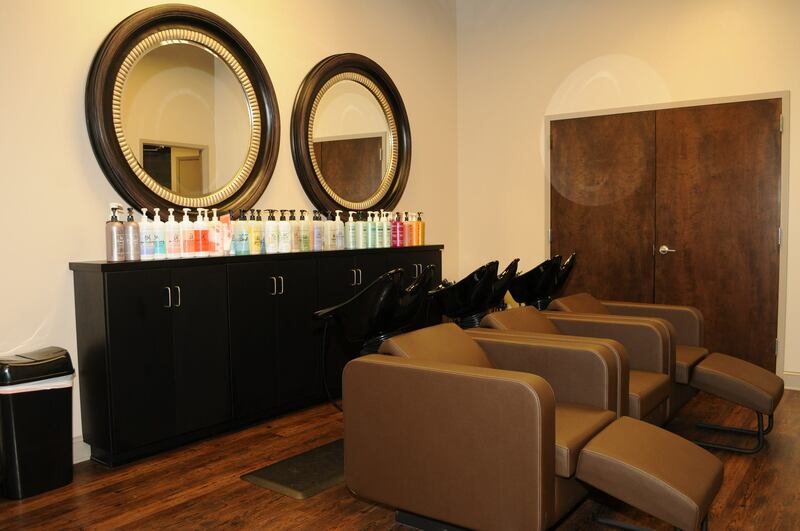 Look and feel your best in Mobile by scheduling an appointment with the professionals at Bliss Salon & Day Spa. Bliss Salon & Day Spa has received more than 100 reviews on four verified sites with an average rating of 4.72 stars, earning them a spectacular Rating Score™ of 96.24 and a 2019 Top Rated Local award for ranking among the top 10 beauty salons and spas in Alabama! “I LOVE Bliss Salon! I have gotten spray tans from there, and they look so natural and so brown. Tera does them by hand, so there is no streaking and no orange spots. 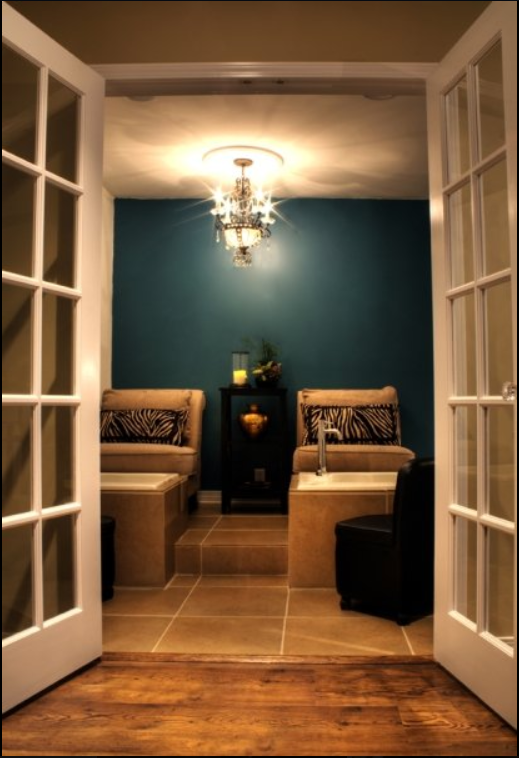 The environment is very relaxing, and it is a great way to pamper yourself. Men, take note, THIS is what your wife wants for her birthday and Mother’s Day and anniversaries!” – Lisa W.
We took a few minutes to talk with Tera Shade, the owner of Bliss Salon & Day Spa, to learn a little bit more about the business and how they managed to build such an impressive online reputation. Tera added that at Bliss Salon & Day Spa, they offer a variety of services that aren’t typically on the menu at other salons and spas, including couple’s massages, scar removal, Ultrasonic Cavi Lipo and tattoo removal. Tera credits Bliss Salon & Day Spa’s strong online reputation to the fact that they put their customers first and that they have a team of good people who are passionate about what they do. At Bliss, they offer an experience, not just a service. Outside of building a powerful online reputation, Bliss Salon & Day Spa has grown through their website, which was developed by Tera’s son in Australia, as well as their presence on Yelp, Google and Facebook. 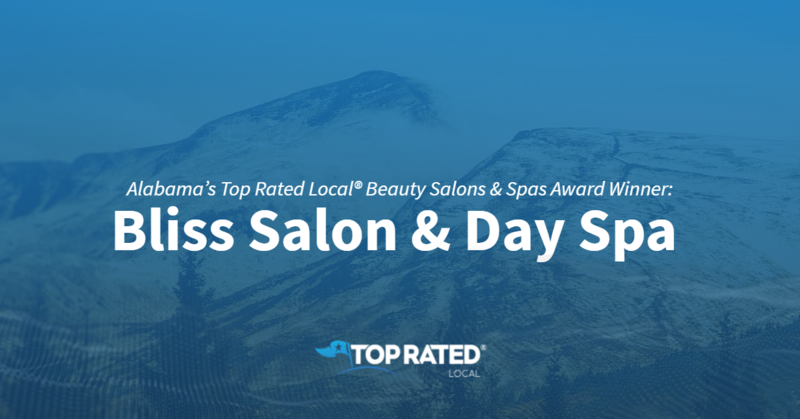 Congratulations to the team at Bliss Salon & Day Spa for being a 2019 Top Rated Local award winner, and thank you so much, Tera, for taking the time to speak with us! When you want to look and feel like a million bucks, there’s no better beauty salon and spa to turn to in Mobile than Bliss Salon & Day Spa. Visit their website today!